Sigmund Groven is one of Norway’s most famous and beloved musicians and composers. 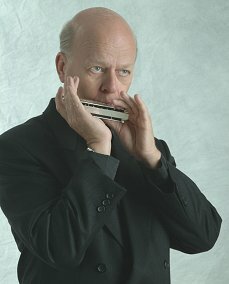 Now working in his 6th decade as one of the world’s finest performers of the harmonica, Sigmund Groven has become a household name in Norway for his emotional and timeless renditions of popular tunes, folk music, classical works, and his own compositions. 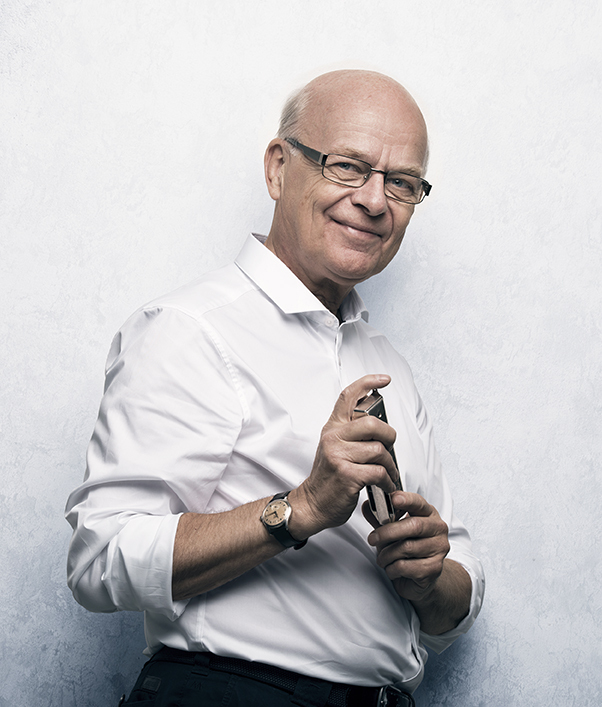 As an international artist Sigmund Groven has performed with major symphony orchestras throughout the world, enthralled festival goers and given concerts in some of the most respected concert halls. You might even catch him entertaining cruise ship guests or giving royal command performances. He also shares his art and knowledge through popular master classes around the world. 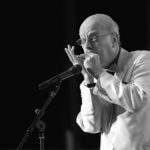 In between touring the world or performing at local art centers and churches in Norway, Groven finds time to record albums which always bring you the best of the harmonica. Filled with Groven’s characteristic original compositions, or special arrangements of well known compositions from world famous composers, these albums reflect the Nordic moods which have always inspired him. For five decades Sigmund Groven has had an international career as soloist, composer and recording artist. He was born in Heddal, Telemark, Norway, into a musical family; his uncle, Eivind Groven, was a composer and musicologist. 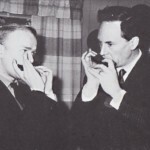 Sigmund’s interest in the harmonica was aroused at the age of nine upon hearing a record of the legendary harmonica pioneer, the late Tommy Reilly, who became his source of inspiration as a musician, his mentor, and close associate. 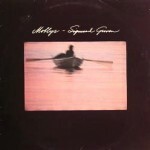 They appeared together in concert and on radio and TV in Europe and North America, and in 1976 they recorded, in London, a duo album of original works written for them by such composers as Robert Farnon, Gordon Jacob, James Moody, and Vilem Tausky. Sigmund Groven made his recital debut on Norwegian radio in 1965, and his first LP was released by Polydor in 1975. To celebrate his anniversaries GRAPPA Music Group released Sigmund Groven Collection, a series of three CDs featuring highlights from his recording career as well as some newly recorded and previously unpublished tracks. Volume one, Harmonica Hits, was released in 2014, the second volume Tradition in 2015, and the final volume Concerto had more of a classical profile, including transcriptions of baroque music as well as original music for harmonica. 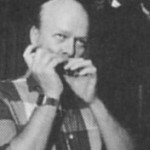 In addition to his studies with Tommy Reilly, Groven graduated from the University of Oslo as a B.A. (English, History, Political Science), and before concentrating on his career as a full-time musician and composer he worked for the Norwegian Broadcasting Corporation (NRK) as an announcer, presenter, and music producer, and also did free-lance work as a record producer. Sigmund spiller inn Aria (1988). 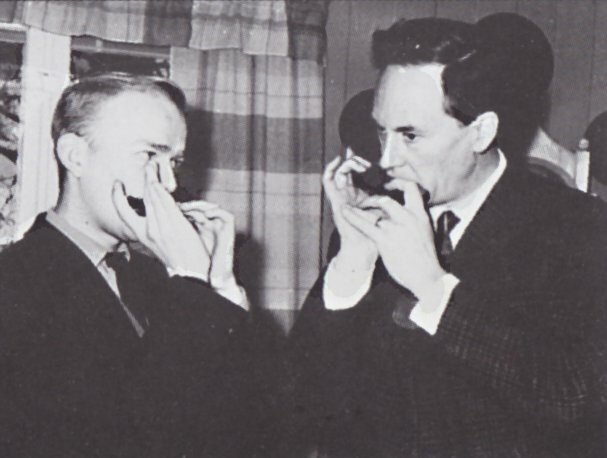 Sigmund og Tommy Reilly i 1966. 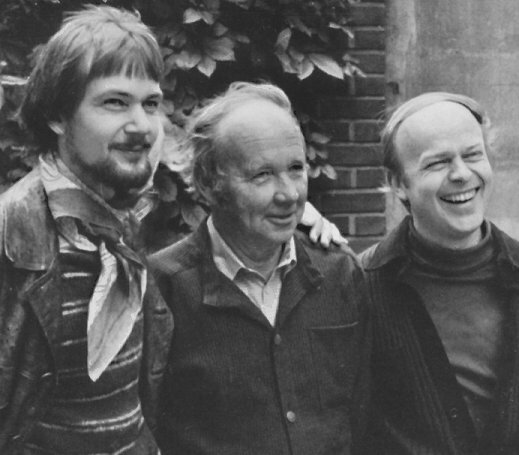 Geirr Lystrup, Halvor Sandsdalen og Sigmund i 1981. 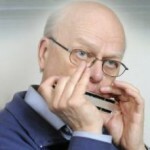 For more than 30 years he has been teaching at the annual summer courses organized by the Norwegian Harmonica Association. He has also been teaching at the Trondheim Conservatory of Music and has given master-classes both in Europe, North America, and several Asian countries. 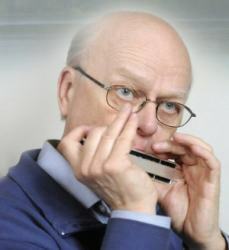 From 2018 he is harmonica professor at the Norwegian Academy of Music in Oslo. 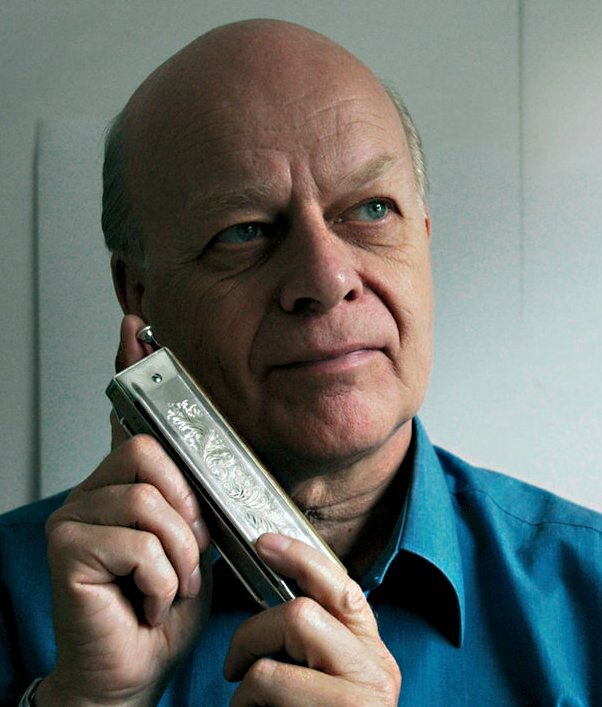 Sigmund Groven plays a custom-made silver concert harmonica (“Polle Concert Harmonica”) and his repertoire ranges from popular and folk music to his own compositions, from Bach to contemporary music. His career in Europe has included performances with such orchestras as the Academy of St.Martin-in-the-Fields, Rotterdam Philharmonic, the radio orchestras of Berlin, Munich, Brussels, Stockholm, Oslo, Hilversum, and BBC London, concerts for EXPO Sevilla, UNESCO Paris, “Posidonia” in Athens, the 1994 Winter Olympics at Lillehammer, the Edvard Grieg Sesquicentennial Celebrations, as well as appearances at the Dartington Summer Music, the Bergen International Festival and other prestigious festivals. 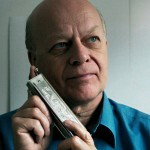 In 2002 he became the first harmonica player to appear as soloist with the Mozarteum Orchestra in Salzburg, giving the world premiere of Siegfried Steinkogler’s Harmonica Concerto. 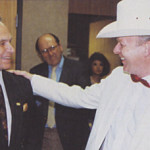 His concert at the 25th Budapest Spring Festival, which also featured such illustrious names as the Chicago Symphony, Daniel Barenboim, Pierre Boulez, Barbara Hendricks and The King’s Singers, was described by a critic as ”the most moving performance in the history of the festival”, and he has since frequently been invited back to Hungary for more concerts, in 2018/19 a series of concerts as soloist with various symphony orchestras. 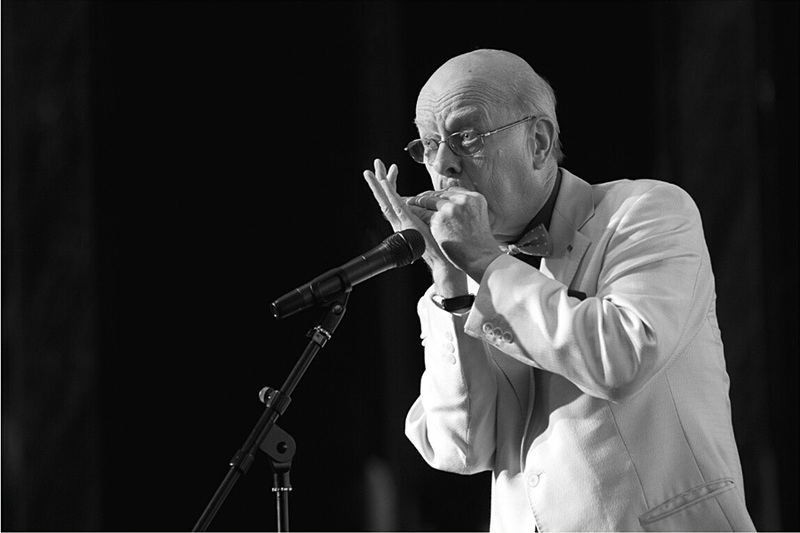 On many occasions Sigmund Groven has given Royal Command Performances for the Kings and Queens of Norway and Sweden, and for 30 years has been featured as headline performer on cruise ships around the world. 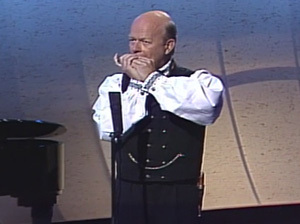 In 1990 Groven made musical history, becoming one of the few harmonica players ever to be featured at Carnegie Hall with a classical recital of his own. 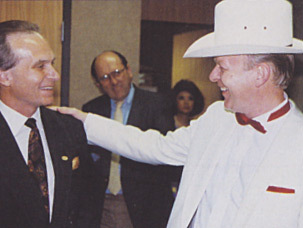 This marked the turning point in his American career, and was followed by concerts at the Smithsonian Institution in Washington DC as well as major concert halls, orchestras and festivals across Canada and the US (Toronto, Guelph, Québèc, Los Angeles, San Francisco, Seattle, Anchorage, Fairbanks, Minneapolis, New Orleans, Houston, and Dallas, where he was made honorary citizen of Texas). His career in Asia has included concerts and TV appearances in Japan in 1995 and 1999 (including Casals Hall, Tokyo and Kyoto Concert Hall), Hong Kong 1998 (City Hall Concert Hall) and Seoul, Korea 2001, where his albums entered the pop charts. 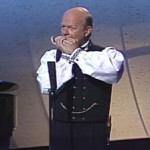 In 2004 he returned to Hong Kong for a concert with the City Chamber Orchestra of Hong Kong, and in August 2006 he gave concerts and master-classes at the Asia-Pacific Harmonica Festival in Taiwan. In 2011 he played in Singapore, and 2012 included more concerts in Hong Kong and South Korea. In 2013 he toured as soloist with the Gothenburg Wind Orchestra in Sweden and Budapest Strings in Hungary. Since 2012 he has made annual recital tours of South Korea, and in 2019 he returns to Singapore for recitals and master classes. His discography numbers dozens of original albums, plus several compilations. Classical Harmonica (2012) is a duo recording with pianist Ivar Anton Waagaard, and in 2010 HarmOrgan, the world’s first album featuring harmonica and pipe organ, together with Iver Kleive, was released in Blu-ray surround SACD format on the premium brand label 2L. Grieg Album, featuring his interpretations of Edvard Grieg’s music in collaboration with the Norwegian Radio Orchestra, Kåre Nordstoga and Ivar Anton Waagaard, was issued in 2007 to enthusiastic reviews. 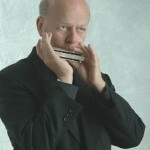 Other landmarks in his recording career are two CDs with the Norwegian Radio Orchestra; Here, There and Everywhere (2004), an album of works for harmonica and orchestra by Sir George Martin, as well as his arrangements of Lennon/McCartney songs and other shorter pieces, an album which was followed by PhilHarmonica (2005), an anthology of serious original works by Milhaud, Villa-Lobos and Scandinavian contemporary composers. The latest album Bønn for drømmen (2018) is the “soundtrack” to poems by Hans Børli. In 2012 he gave two world premieres of works especially written for him: a Concertino by Henning Sommerro with the Norwegian Radio Orchestra, and a piece by Hong Kong composer Hui Cheung Wai. 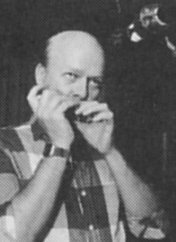 Other composers who have dedicated works to Sigmund Groven include Oddvar S. Kvam, Johan Kvandal, James Moody, Terje Rypdal, Øistein Sommerfeldt, Kenneth Sivertsen, Iver Kleive, Kristian Lindeman, Siegfried Steinkogler, John Surman, Lars Tilling, and Fried Walter. 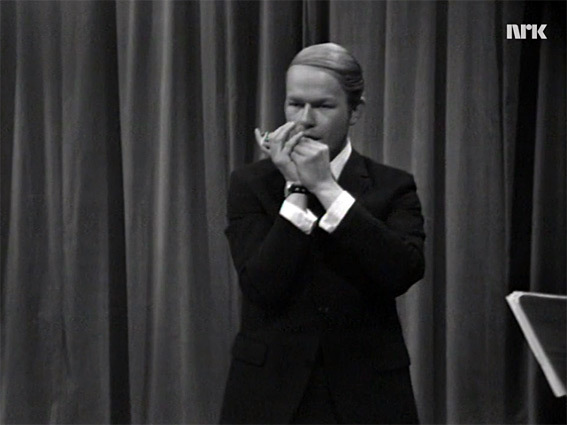 2015 saw the first performance of Prelude for harmonica and orchestra dedicated to him by Egil Kapstad, with the Norwegian Radio Orchestra. Sigmund i Sørkorea i 2016. 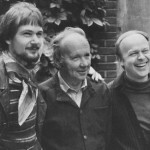 As a composer in his own right Sigmund Groven received a commission for the Sesquicentennial of Norwegian emigration to America (Blow, Silver Wind with words by Erik Bye), and a commission from the Norsemen’s Federation to commemorate Leiv Eiriksson’s discovery of America, Vinland Suite. Both works have been performed widely, including Mormon Tabernacle, Salt Lake City, and Carnegie Hall. His composing output totals more than 350 works, including music for film, radio, and TV, and a number of songs and instrumental works. 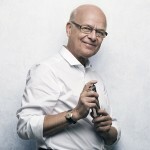 Twice he received the award “Composition of the Year” from the Norwegian Association of Composers of which he was also appointed Honorary member. In 1997 he was elected President of TONO, the Norwegian Performing Rights Society, in 2004 he was presented with an award from the City of Oslo, in 2009 the Klaus Egge Award, in 2010 he was awarded an annual lifetime honorary grant from the Norwegian State in recognition of his artistic merits and achievements, and in 2012 the Guangzhou Music Award in China. In 2015 Sigmund Groven was appointed Knight of the First Class of the Royal Norwegian Order of St.Olav by His Majesty King Harald V of Norway. I had a chance to listen to his performance on web and liked very much to get all of his CDs. Kindly let me know how I would be able to purchase the disc. It seems possible for me to send Norweian Krone to your designated bank account from my bank(Bank of Tokyoy-Mitsubishi UFJ). Your comment would please me very much. Keizo, please try to place your CD orders from Sigmund’s record company Grappa by going to http://www.grappa.no/en/artist/sigmund-groven/ – international orders are welcome.